Есть вопрос для Makka Hotel? Построенный в 2012, Makka Hotel является отличной отправной точкой в Чиангмай и разумным выбором для путешественников. Все самые интересные места, расположенные в центре города, находятся всего в 1.00 Km. Благодаря тому, что отель находится в непосредственной близости от таких достопримечательностей, как Sangchan, Церковь Надежды Чианг Май, Вилледж Спа, гости отеля будут в восторге от его удобного расположения. Обслуживание и удобства, предлагаемые в Makka Hotel, обеспечат приятное пребывание для гостей. Проживая в этом прекрасном отеле, гости могут воспользоваться такими услугами, как бесплатный Wi-Fi в номерах, ежедневная уборка, услуги почты, услуги такси, регистрация 24/7. 26 номеров, расположены на 2 этажах, где вы будете чувствовать себя как дома, в теплой и уютной обстановке, с такими современными удобствами, как телевизор с плоским экраном, дополнительный туалет, зеркало, полотенца, Wi-Fi. В течение дня вы можете насладиться расслабляющей атмосферой, таких услуг, как сад. Получите истинное наслаждение от первоклассных услуг и элитного расположения Makka Hotel. Очень чисто, приятно ходить босиком. Приветливые молодые люди и девушки на рецепшен помогли вызвать машину. Очень вкусные завтраки. Pros; Friendly staff Great location Great sized rooms Spotless Great bathroom The BEST breakfast in Chiang Mai. Cons; The wife says the bed was too soft. I liked it. Other than that this place was wonderful Would definitely stay again. This is more of an up market boutique hotel. The location is great. Staff are very helpful, pleasant and make you feel extremely welcome. The only downside to this hotel is that there is no pool. They have access to a pool nearby but not the same as having a pool at the hotel. Apart from that, the rooms are extremely clean and well appointed. This is our second stay at this hotel and we will return again in a few months. I would recommend this hotel. Really close to many attractions in Old City also the Sunday Night Market. All the staffs are friendly. It's really comfortable, feels like home. The breakfast are good and they are served in big size. Love the place so much. Makka is strategically located near the Sunday night market (~2 minutes walk away). Hotel is quiet and tranquil and makes the stay a very pleasant one! Breakfast was great too! The hotel is beautiful with lovely architecture. I loved the small courtyard which had these little metal leaves hanging between the dining area and front desk area. They gave me a lot of joy. Do go upstairs to the library area as it’s comfy and peaceful up there. The staff were so polite, friendly and sincere. The breakfast is basic but tasty. Quick service. The hotel is very clean and quiet. There were two negatives for me. One was the bed. It was not comfortable. The pillows were too stiff also. The other semi-negative point is the taking off of the shoes. It was a bit annoying having to take your shoes off every time before you went to your room. Other then those two things, I found the hotel a peaceful and inviting place to stay. It’s convenient with lots of good restaurants nearby and the Sunday market is two minutes away. It doesn't have a swimming pool or any other facilities that you may find at many other hotels in the area; but the architecture of the building and the decor of the room is very beautiful and relaxing. The staff is also very helpful and friendly. Definitely my favorite in central Chiang Mai. Such a beautiful boutique hotel. Centrally-located but tucked away enough to be quiet and you'll definitely be able to relax. 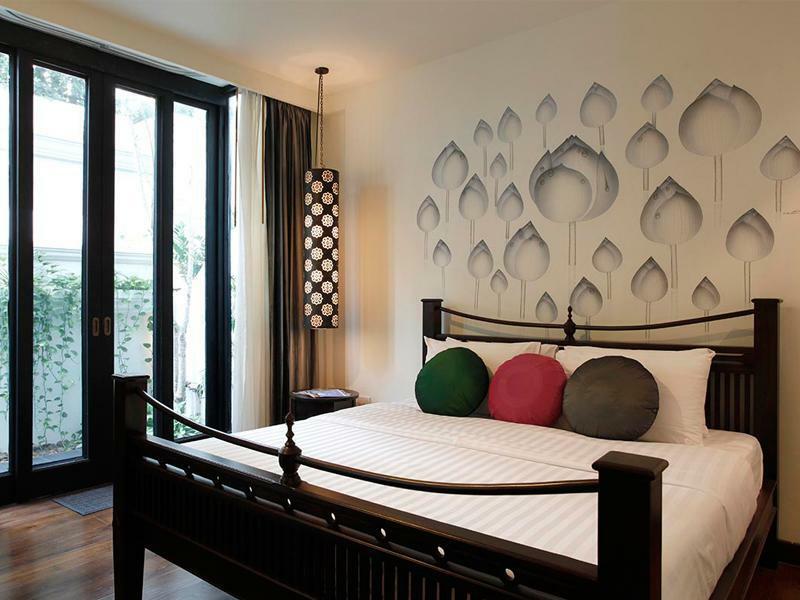 Just 1-2 minutes walk from the famous Sunday Night Market. One thing though, during our stay, there was something wrong with the toilet flush I think. The water was black in the toilet bowl. But definitely would return to this hotel again if I were in Chiangmai. The hotel is very well-decorated in Buddhist art and filled with trees. Located within the inner core of the city, it is easy to walk famous places. Room is big and comfortable. Breakfast is served in set. There is no facility such as spa or swimming pool. Overall we enjoy our stay. ...because the architecture, the location, the staff, are so great and my stay was so relaxing. So I will be a bit harsh on the the two points where I think this hotel fails very badly and, if amended, would make it really perfect: As pointed by many others, the morning breakfast is really poor. On the first day I picked Thai Breakfast, and it was the worst Thai food I ever had in Thailand. You expect to feel the fragrance of fresh Thai herbs in food you eat in Chiang Mai: in this breakfast, it seems they only put salt - and a lot of it. Even the soup was salty. Besides, the coffee was watery and grainy. It's hard to accept that a coffee at a classy restaurant is far worse than the one you can get at home with an Espresso machine - even harder in Chiang Mai, one of the coffee capitals of Asia. Another point that can be easily improved is the quality of the toiletry: in the land of Home Spa that gave birth to great brands such as Hard or Thann, an hotel should do much more than just offering average motel-like shower gel and shampoo. It wouldn't take much to sign a deal with a Home Spa shop in town and to have their products. I repeat: I was totally overwhelmed by the full experience at this hotel - so much that I have just tried to book a room for my next stay - that is the only reason why I wanted to point out two easy-to-solve problems even at risk of being a bit harsh. Thank you again for the great stay! The location was perfect. Right smack in the city and close to the tourist spots (temples, night markets, city gates etc.). When you enter the hotel from the busy streets, the white walls and dark floors, together with the water courts and sensible landscape calms you down. The lobby is beautifully naturally ventilated, with an eclectic mix of Asian furniture. The roof form, and the 2nd storey study is also beautifully designed. Not to mention the surprising arched entrances to the hotel block. All in all, an architectural delight. The staff were helpful, eager, and always doing their best to help. This may be my favorite boutique hotel in all of Thailand. The architecture is stunning, the facilities are exceedingly clean, and the staff is super helpful and polite. The location in the old city is also excellent. There is a good variety of set breakfast menus to choose from, with both Thai and Western breakfasts available. It would be nice to be able to make your own breakfast item selections, rather than rely on set menus, but this is a small quibble which should not distract from the overall goodness of the Makka. The rooms are beautifully decorated in dark wood floors, Persian carpets, and antique furniture. The rooms and hallways are decorated with inspirational messages, probably of Buddhist origin. The ambience of the Makka is quiet and meditative (unless of course you have a mainland Chinese family with kids in the surrounding rooms as I did). There is no swimming pool, fitness center or other similar amenities, but this is a boutique hotel after all. The hotel is only a couple of years old, and so many taxi drivers will not recognize the name. It is best to have the address and a map loaded on your cell phone or tablet to ensure you get to the hotel withiut undue confusion. If what you were looking for is a beautiful room in a beautiful hotel with a friendly staff and good location, I can't think of a better choice in Chang Mai. 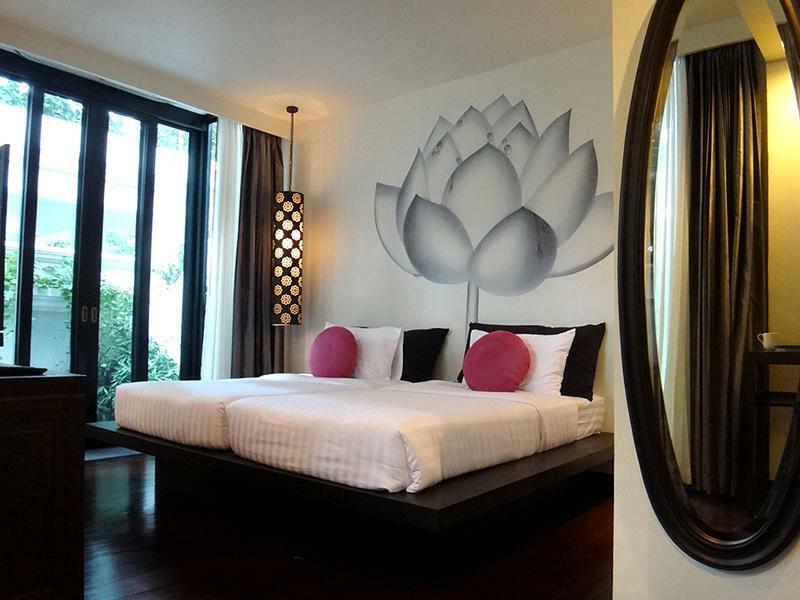 The Makka is a serene oasis in the midst of the chaos of Chiangmai's inner city. The architecture is really beautiful. The staff was always pleasant and helpful. Although the floors are hardwood, I was never bothered by noise from other units, apart from some very loud Chinese children who were allowed by their parents to do as they pleased. It is hard to fault the Makka for these undisciplined kids, but it would be nice if the staff encouraged such guests to maintain the peace and calm of the hotel which was clearly designed to be a place of quite relaxation. The only other thing of note was the fact that taxis did not seem to know where this hotel was, so be prepared with the address. Nor was taxi service readily available at the hotel, though its proximity to the old city might make that irrelevant for most travelers. This is a boutique hotel with no pool or bar, and limited other services. Having no need for anything else, I would stay at the Makka anytime I came to Chiangmai. We were so happy when we arrived at the hotel as it is so beautifully designedand you can tell the architect had really put a lot of thoughts into every detail, tried to incorporate lotus and budhalism into the design. the location of the hotel is also perfect, it is within walking distances to many attractions and entertainment. We all thought we made the best decision until we discovered the hotel/ or at lease our room has bery poor building acoustics, we stayed at room 108 and we can hear every moment made by the propel upstairs and people walking up and down the stairs, it is so bad that we could not sleep until the guest upstairs are in bed. I will still rate this hotel a high score but if I do stay I will definitely ask for an upstairs room. We had a pleasant stay. The staffs are all very friendly & responsive. The hotel is very clean as the staffs are diligently keeping it clean. Only slight complain is mosquitos in my room and the lobby compound. Think it's due to the surrounding trees & plants. 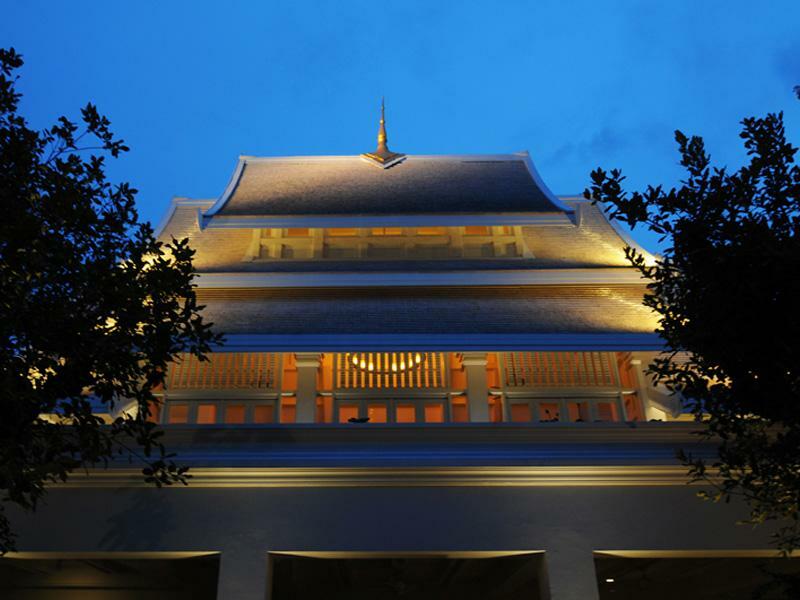 A wonderful quiet and peaceful boutique hotel in Chiang Mai. Top marks for outstanding services from the staff. 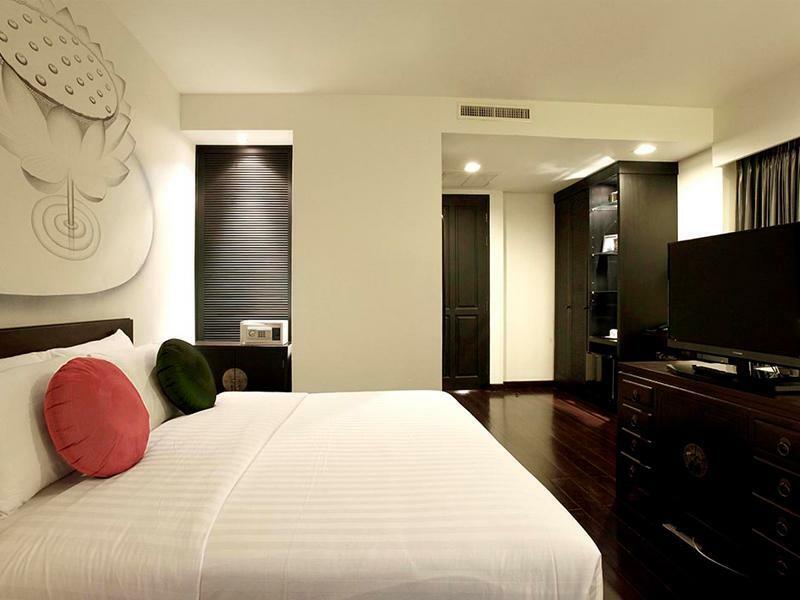 Also star for the classy hotel design, beautiful deco and the general cleanliness and upkeep of the pristine abode. Breakfast was delicious with many selections from menu. 2 minor complaints. I am not so comfortable with leaving my expensive shoes along the racks before heading to my room. Also, very hard to find power point in my suite for my laptop and phone charging. Other than that, it was a very pleasant and excellent stay here. Well done!